There are many things to consider when trying to find a new home. There’s the location, the size, the proximity to the town center; so many aspects to look into. That’s why it’s important to have a thorough plan of your intentions, as this way you won’t do something you’ll regret! It’s a daunting prospect looking for somewhere to spend the next chapter of your life, but hopefully with our help things will become a little clearer. Here are a few tips to get you started on finding a new home. Research is an essential part to finding a home that’ll suit you. It’s good to start with a general idea of what type of home you’d like, but don’t go off this single perception. Human feeling can be very fickle; an idea which you thought looked fantastic at one time can easily look awful the next. So don’t cut corners when it comes to research, as the more you do, the more pleased you’ll be with the outcome. Ask the opinion of your nearest and dearest, get scouring the internet and go to as many viewings as possible. 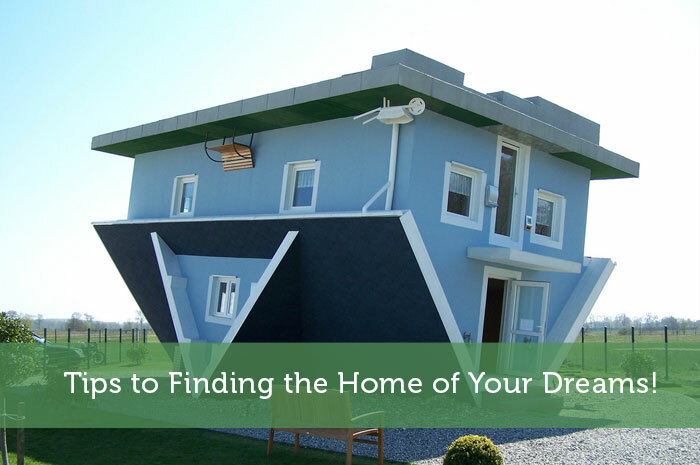 If you put the effort into finding the home of your dreams, then it’ll be well worth the wait. It’s important to be assertive when searching for a new home. Ask yourself what it is you want to gain from moving; is it career related, out of convenience, or just because you fancy a change? Well, whatever your situation, bear this in mind when you’re shopping around. In a number of instances you will probably have to make sacrifices. So prioritize what you’re looking for. This way you won’t neglect the essential elements of your future home. On a serious note, you must ensure that your financial matters are in order. Devise a budget and then work from there, as having a set price in mind is ideal when trying to estimate how much you’re willing to spend. Also, think of the bigger picture. It’s all well and good finding a home which you love but it won’t be of much use if you can’t live in it! Have a long term plan which incorporates all the aspects of your new home, from the original price, to the mortgage, to gas and electric bills. Being money smart will definitely pay off in the end! Be positive! Looking for a house can get a bit intense, but don’t let it get you down. It’s true that you do have to rely a lot on other people and that complications can often arise, but just remember the end product; you’ll have a lifetime to chill in your new house once it’s sorted. We are buying a new home next year, and decided that we will not rush it at all. Unless we find the perfect home, we will not be buying! I’m in the same boat, but I think it will be tougher for me to show restraint. After renting for so long, I’m really itching to finally have my own home. I know I shouldn’t just settle though. I was like you, dying to have a house on my own and the living situation with horrible roommates at the time didn’t help. Then even found a loophole in the rental agreement that forced me to stay one more month with them. I am glad it gave me more time to look for properties carefully though, rushing things is never good. Ouch, horrible roommates would make it a lot more of a rush. I’ve been in that situation before, but at the time I wasn’t able to afford to move. So that really dragged it on longer than necessary. Great tips! We benefitted a ton from our real estate agent when we bought our house. She was objective and told us early to find & determine the things that were important to us in a house. That really helped us narrow down what we were looking for. After a while all the houses you look at start to look the same, so it was helpful to have a checklist of things we wanted. We’re in the early stages of looking to buy a home and we have a general checklist too. The tough part is deciding how important some of the stuff towards the end of the checklist is. Sure we’d love to have everything, but cost is still a major factor. Time is one of the biggest ways to find the perfect home. You need to give yourself plenty of time to find everything you want. Start looking well before a lease might be up and make sure you are not trying to buy a house because you just sold yours and are in a crunch. You will end up having to settle. That’s something I’ll have to keep in mind. I’m not necessarily in a time crunch myself, but I just want my own home really soon. It will be hard to hold back from making an offer on any places we find that are suitable but somehow less than ideal. When my wife and I were looking to buy a home and we found one that was perfect but the only problem was we had to sell our house first. We tried for a year to find a buyer but by the time we did the house we wanted sold. From their we couldn’t find a house even close to that one so we decided to build at that point. I guess you just have to look at the glass like it’s half full because their is always an option. Having to sell before buying does make it a lot more difficult to get exactly what you want. In our case our rental lease expiry is coming up soon and we can do month to month after that. So once the lease is up, we can move anytime. Then it’s just a matter of being patient until we find just what we’re looking for. I like the point about prioritizing. Usually the house that ticks all the boxes also ticks the ‘Over Budget’ box! You’ve got to be willing to compromise. For sure, you usually can’t have your cake and eat it too. Some small sacrifices can significantly affect the price you pay in the end. I would agree that research and being flexible on the timeline is the best way to find the home of your dreams. It takes a lot of patience but great deals do become available; you just have to be ready to act (quickly) when that particular house comes available. In order to be in that position though you really have to have your finances in order, and ideally you wouldn’t have to sell a house of your own…that’s been the biggest hurdle for us as we have to sell our house AND buy a new one at the same time. We’re considering renting for awhile just to give us more flexibility on the time side of things. I should get going on getting a mortgage preapproval just in case that perfect home does come along. It’s just tough to tell what is the ideal place early in the search. I would say you should go ahead and rent a place for now, but I know you’ve been trying to sell your house for a little while now. Hopefully as spring approaches you’ll get more interest in it. One other important part of research is finding out how much home you can buy (afford). It’s important to have a Loan Officer before hand. Many think they can get more than they can afford and when the numbers come back they’re in for a shock. I think it’s important to not just base your financial decision on what the bank is willing to lend you. For many people that ends up being a lot more than they can realistically afford. I know I won’t be spending as much as I was pre-approved for. There’s no way I want to be paying that much each month for 25 years. I am going through this right now as we plan on moving within the next year or so, whenever we have the money saved up for a down payment. We want our next house to be long term, one we can allow our family to grow up in. It is already stressful and we have just started. I’ve barely started too and I agree that it is rather stressful. Since it will be my first home it is pretty exciting, but I can’t help but think of those long term payments and other costs. Then I get all worried that despite all that we might not even find the ideal place within our budget. I love that picture! I wish more people spent time researching before buying, I think having lots of information is really important and so many people buy things with too little of it. Hopefully I don’t end up being one of those people. Considering how big a purchase it will be, I’ll do what I can to get plenty of information before taking the plunge. I think that finding the right home is such a great experience. People always want this and want that feature, but that feeling when you walk into a place and all you can do is smile. That is when you know you have found the right place to call home. I hope I have that feeling once I get out looking at some condos. With the high prices here it makes it a little tougher to be satisfied with what we find. Ultimately we know we’ll be overpaying for what we get. I think it can get very discouraging, especially if you find a place you love but can’t get it for some reason. A positive attitude is certainly helpful. That part will be tough to accept. Just because you love a place, it doesn’t necessarily mean you will get it. Sometimes someone with deeper pockets wants it more or some other complication arises. John at frugal advice is proof that having a good realtor is crucial. However, you should know the basics of buying a house before actually entering the market and question everything! I agree that a good realtor is quite important. I had been talking to a different guy last year but decided he wasn’t a good fit. So when we decided to look around again this year, the first step was finding a better realtor to help us out. So far it seems like this guys is pretty good. lol I think that house is somewhere in Europe. Our houses definitely aren’t underwater here yet. Quite the opposite…prices are still extremely high. Research is HUGE! Invest the time to know the ins and outs, don’t rely on your buddy the agent to know everything. If you could save thousands by taking the time to know the terminology thrown at you, the location, “hidden” costs and such, why not take the extra couple hours to educate yourself? I do intend to do plenty of research before making a purchase, but I’m a little unsure where to start. It is tempting to overly rely on the real estate agent, but he might be purposely vague on some things to help close the sale. Although we love our house if we do buy a second home I will make sure we do more research and take our time. I’ve learned alot in my first home here that I didn’t know beforehand. I guess there’s no better lesson than actual experience. I’m going to have to read about and talk to lots of people about their experiences so I know what to expect. When we buy again, I’m making sure we have enough money put together to be able to get a house I can see myself living in the rest of my life. That means 3-4 bedrooms for future kids, no HOA, a big backyard with southern exxposure, central air, and a big, modern kitchen. Those of my must haves, anything else I can compromise on. I wish I could realistically consider a place like that, but in this city it’s nothing but a dream. To get something like that I’d have to be prepared to do some serious commuting or move to a different city completely. That is tough to do when I’ve got a good job here and this industry’s job market is weak everywhere. I understand that. To the best of my knowledge, there are no HOA-free properties within city limits here except for the Old Town area, but they have pretty much non-existant yards. One more consideration. work with a loan offer to figure out what you can afford and then get something less than that number. If you don’t need the space, or the upscale neighborhood. Why not take the money you would save and work towards your retirement account, emergency savings and other important parts of your personal finance? That’s very true that you should still try to save money when you can. A lot of people get in trouble with their mortgages by using up the maximum that they are approved for. Then they don’t have enough wiggle room for other important financial matters. It’ll be a while before I’m house shopping, but I’m window shopping right now. It helps me make smarter decisions later on. Good idea Alex. The longer you keep an eye on the market, the better prepared you will be. You just have to have the willpower to resist urges if you come across a home that you really want. I think that if you spend too much time looking for the perfect house then you will never find it. There are always going to be one or two little things that you won’t like, it is about finding what you can live with and what fits within your budget and your lifestyle. Excellent point Glen. That’s true for many things in life. Sometimes perfection is just too difficult to reach. So you have to be realistic and think of what really works for you. It doesn’t have to be your dream home, but it should at least satisfy your major priorities. Some secondary priorities can be overlooked. We recently have been lightly talking about moving… definitely need to think a lot more about what our needs are going to look like over the next 5 years. Need something that we can grow into but not too big that we feel like visitors in our own place. That’s what I’m hoping to find…something we can grow into. That’s easier said than done in this city though. We’re more likely to find something that will work for the next 3-4 years and hope we can afford to upgrade at that point. I absolutely agree that a positive attitude is everything! I coincidentally just closed on my first place (Condo) and I remember when my fiance and I first walked into the place she was like “Absolutely not, it’s gross and I can’t live here”. So we left. After seeing all the other places and their prices, we came back to that first place and started to see the potential. It has good bones and with a little bit of work on our part we could transform it into a great place to live. We’re still in the transformation process now but I’m definitely happier not spending $50k more because someone put a fresh coat of paint up and had a new kitchen counter. I think I might end up going that route too. With the high price of real estate here, it would probably make a lot of sense to go with something that we could improve after we buy it. We could even delay some of those expenses too. I have planned to buy a new home within 2 to 3 years. The real estate price is too high. I have to increase my budget by searching on new job soon. Good luck with that goal Audra. Make sure you are definitely ready before taking on that commitment. Hopefully you find a well paying job with a high level of stability. Research, prioritize, finance, and attitude are great suggestions to try and keep your life organized when looking for a new home. I’ve been looking to build, but still have hopes that I could save a lot of money buying a home. Thanks for the tips. They will work great for moving forward! Building a home would be pretty rewarding. Hopefully down the road I’m able to do that too and choose exactly what I want in a home. Great advice! Sometimes, finding that dream home can be more difficult than finding the right residential property for investment purposes. Looking for that dream house can be stressful. If you’re financially ready, getting a great agent to help you out with search and the process can make it smooth and stress free.